African mountains provide indispensable goods and services for communities living in and around them, and for various downstream users.Mountains also harbor unique biodiversity, provide non-timber forest products:water, food and energy security at local, national, and regional levels.However, pressure from increasing human activities and climate change are leading to rapid montane biodiversity loss, land degradation and natural disasters, jeopardizing their ability to balance peopleâ€™s needs. A number of African countries, organizations, institutions and individuals are members of the Â Mountain Forum and Mountain Partnership. 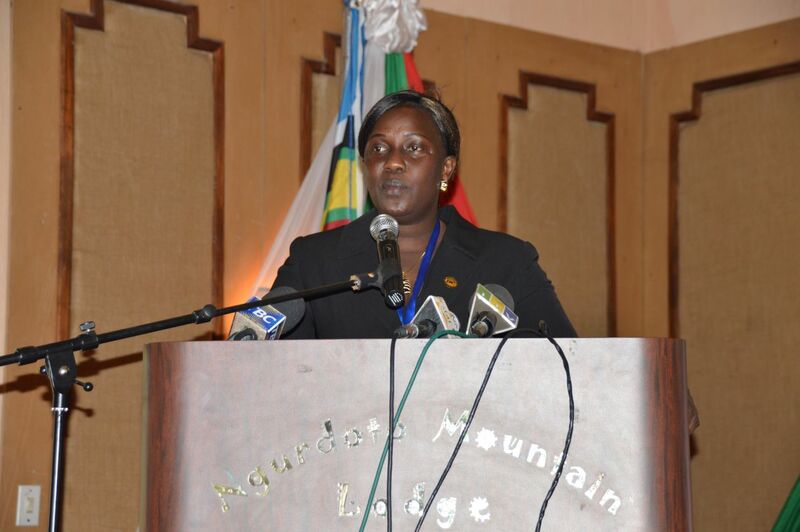 In September 2012, the Arusha Declaration on Africaâ€™s post Rio+20 Strategy for Sustainable Development by the African Ministerial Conference on the Environment (AMCEN) in its 14th session made reference to mountains in Africa. 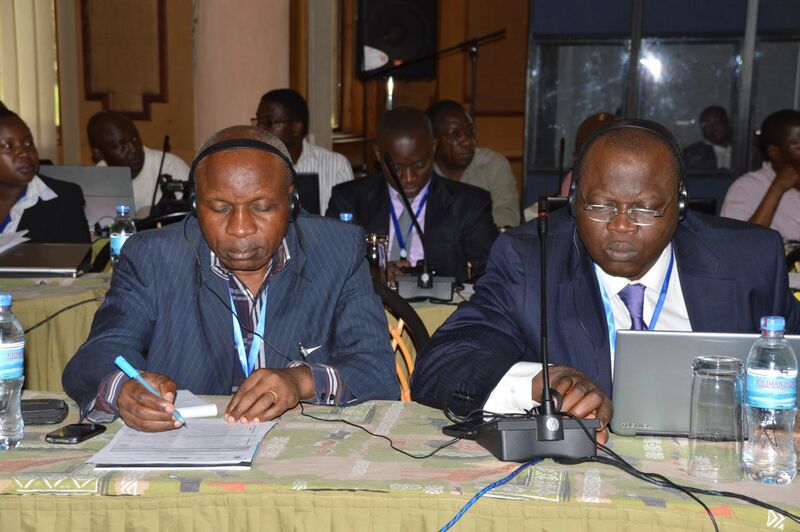 AMCEN asked United Nations Environment Programme (UNEP) to support the implementation of the agreed decision under the Rio+20 Conference regarding mountains in Africa. During the Africa Mountains Partnership members (AMP) meeting organized by the Albertine Rift Conservation Society (ARCOS) and the Mountain Partnership Secretariat at FAO, in collaboration with IUCN and UNEP in Kigali in February 2013, AMPs launched a special initiative on mountains, as African Water Towers and called for more effort in promoting mountains in development agenda. 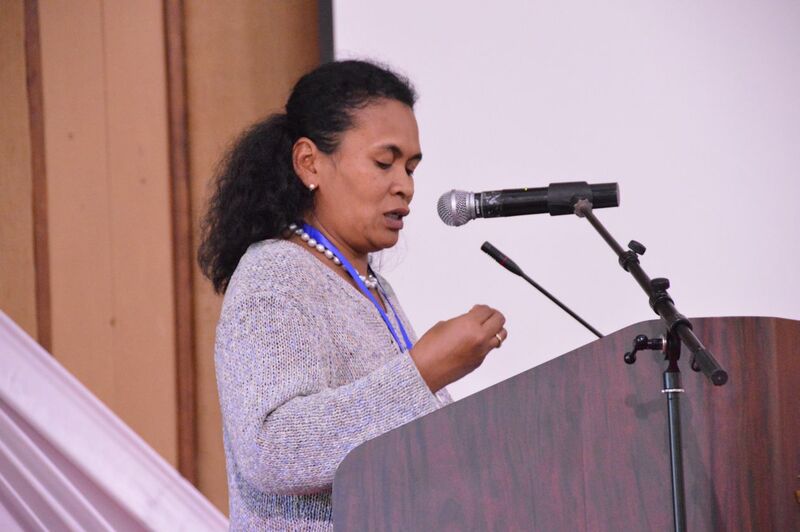 The African working group at the 4th Global Meeting of the Mountain Partnership in Erzurum, Turkey decided to build on the ongoing initiatives at national and regional levels and to promote experience exchanges among African Members. Additionally the group explored to also draw lessons and experiences from other regions. At the regional level, management of mountain ecosystems is also provided for under Chap. 19 of the Treaty establishing the East African Community (EAC). 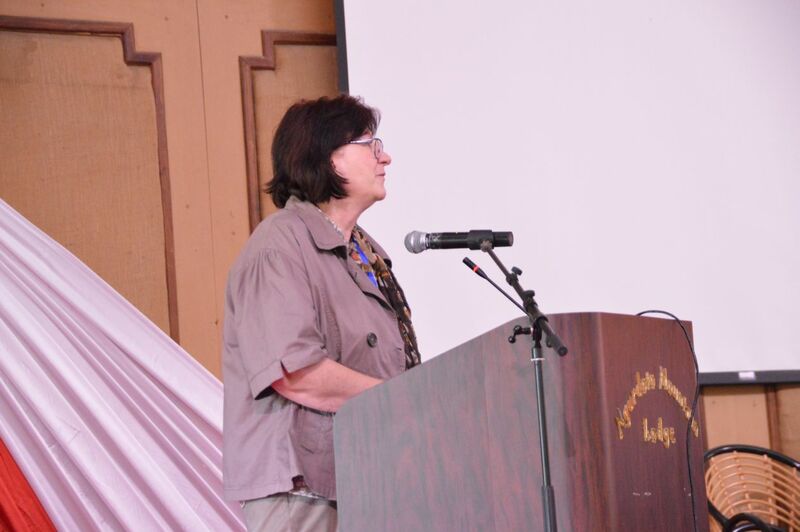 Under this treaty Partner States agreed to cooperate in the management of shared natural resources and to take concerted measures to foster cooperation in the joint and efficient management and sustainable utilization of natural resources within the Community for the mutual benefits of the Partner States. 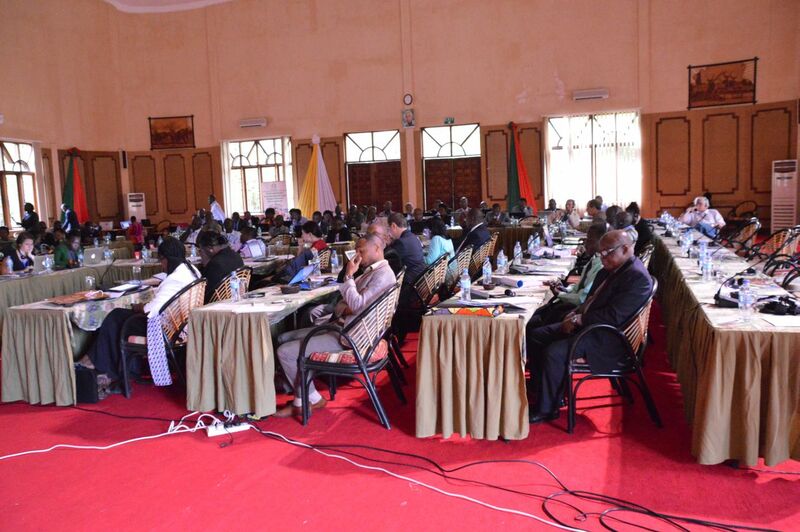 Article 9 of the EAC Protocol on Environment and Natural Resources Management puts emphasis on the need to promote the management of transboundary ecosystems in East Africa, while under article 20, Partner States agreed to protect mountain ecosystems such as critical water catchments, conservation and heritage areas and other areas of common strategic interest at local, national, regional and international levels. In response to these needs and in the framework of thePost-2015 Development Agenda/current discussions towards the Sustainable Development Goals (SDGs), ARCOS and the Africa Mountain Partnership Champions Committee in partnership with the East African Community (EAC), United Nations Environment Programme (UNEP), the Austrian Development Cooperation (ADC), and the Swiss Agency for Development and Cooperation (SDC) as part of a global programme â€œPromoting Sustainable Mountain Development for Global Change-SMD4GCâ€are organizing the African Mountains Regional Forum 2014, with the overall objective of enhancing collaboration and framing a regional agenda for sustainable mountain development challenges in African mountains. Mountains are a storehouse of global biological diversity and endangered species. They support about a quarter of global terrestrial biodiversity, with nearly half of the worldâ€™s biodiversity hotspots concentrated in mountains. 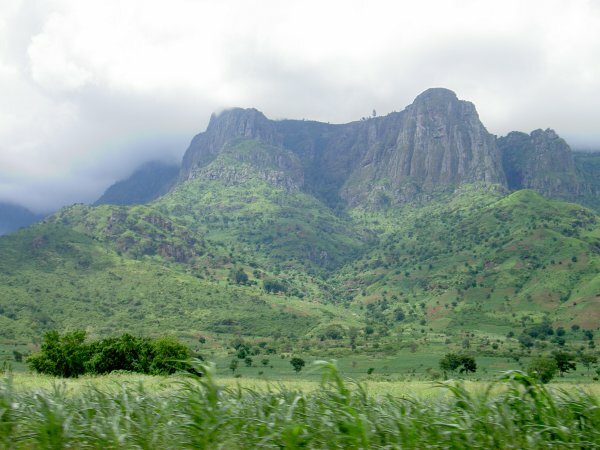 Mountains have also served as refuges for species from environmental change and form centres of species endemism, with major centres of species diversity in Africa being in the Albertine Rift Mountains, Cameroon Mountains, Usambara mountains, Ethiopian highlands, etc. 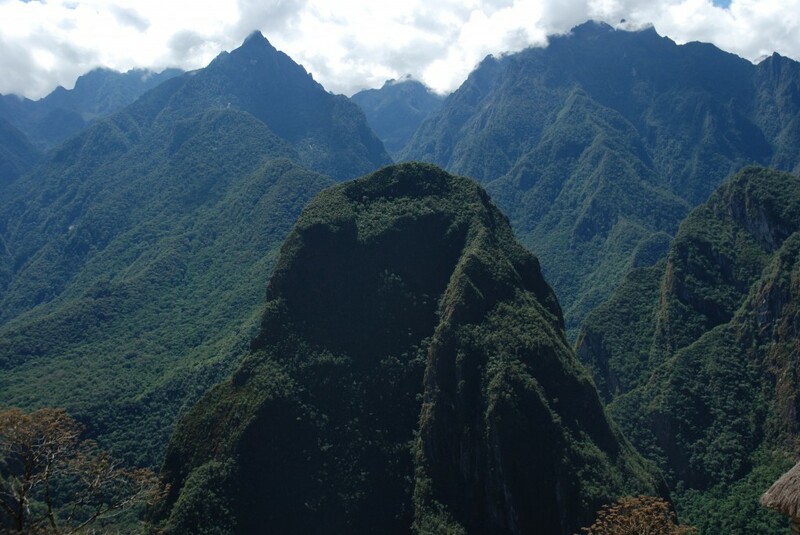 Half of the worldâ€™s population depend on mountain ecosystem services, particularly water. Mountains are the â€œWater Towersâ€ of the world,providing catchment runoff water to millions of downstream users. In human terms, mountains have also helped to preserve cultural diversity and are among the top destinations for tourism and recreation. Mountains are also important centres of agro-biodiversity, and as such are an important asset for genetic resources and food security. But mountain ecosystems are exceptionally fragile,and are under threat from unsustainable use. Even with an abundance of natural resources, poverty and human vulnerability is higher in mountains than elsewhere, often because of their remote location. 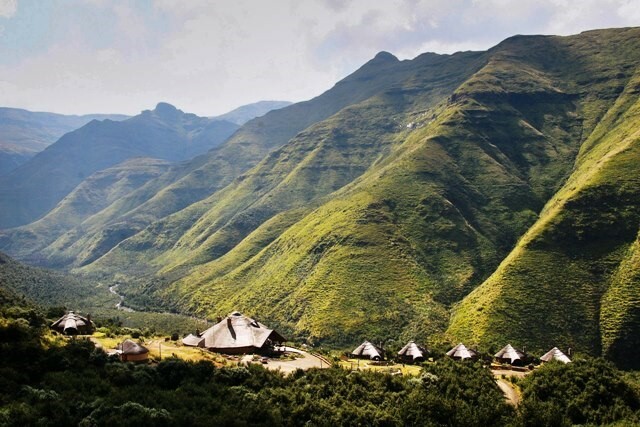 This session will broaden our knowledge of mountain ecosystems and the ecosystem services they provide, and the changes affecting them, and discuss approaches for the sustainable conservation of biodiversity and ecosystem services in African mountain areas. Socio-economic development and climate change, growing population and limited land resources are causing water stress for growing more food with the same amount or less land, less water, and greater demand for energy. The water-energy-food security nexus is an approach that has sustainability at the heart of the solution. African Mountains provide a large amount of water for agriculture and hydropower generation. Yet mountain communities are among the most disadvantaged regarding water and energy access. 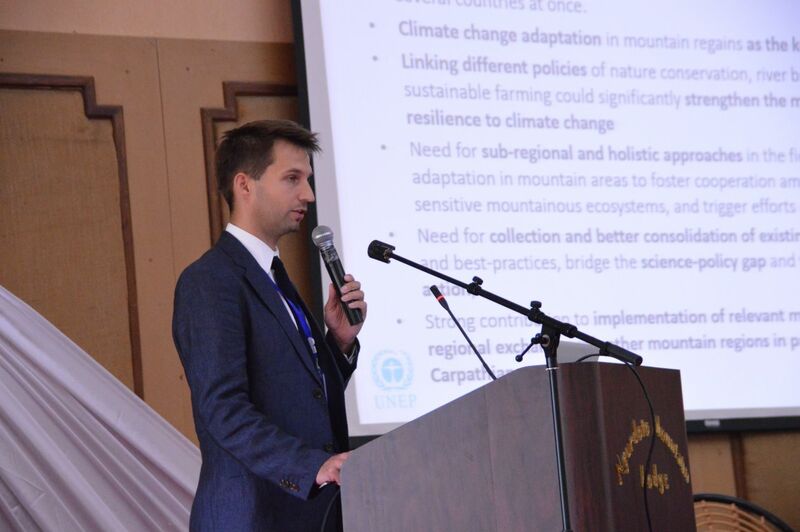 Mountains are a regulator of climate and repository of agro-biodiversity, but challenges such as climate change, monoculture and non-sustainable agricultural practices are threatening these key functions. It is a requisite for development to ensure both upstream and downstream food, water and energy security in African mountains and dependent lowland areas. 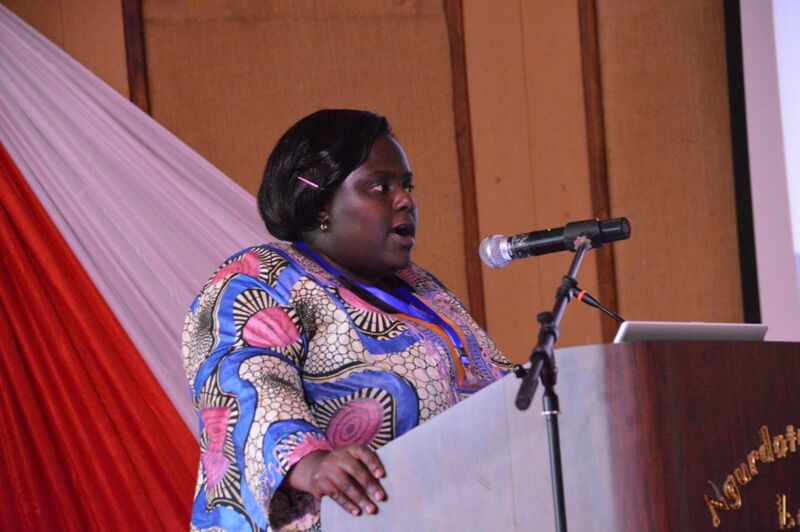 Policies and strategies must therefore promote improved management of water resources and related systems. The session aims to promote better understanding of the inter-linkages among water, energy, and food security, share case studies and experiences, and discuss cross-sectoral strategies and policies for building more resilient and adaptable societies in mountain ecosystems. The problem of climate change inmountains is of global concern, but also already felt locally. Mountains are among the regions most affected by climate change. In Africa, the melting of glaciers in Mount Kilimanjaro, Mount Kenya, Ruwenzori Mountains, etc. are clear evidence around us. About 10% of the Earth's population lives in mountain areas with higher slopes, while about 40% occupies the adjacent medium- and lower-watershed areas. While mountains provide various services to mountain communities, there is widespread poverty among mountain inhabitants, loss of indigenous knowledge and serious problems of ecological deterioration in these watershed areas. As a result, most global mountain areas are experiencing environmental degradation. Poverty, unemployment, poor health, food insecurity, lack of access to potable water and good sanitation are widespread in mountain areas. In spite of the enormous amount of indigenous knowledge in the mountains, education and health delivery systems are very poor, particularly in the context of women and children. Mountain communities have been at the periphery of decision-making in the context of overall development in many countries. The session will share experiences and discuss strategies for better integrated community development in mountain areas through effective participation of local people is a key to preventing further ecological imbalance, increase the productive base, share equitable benefits, sustainably improve the standard of living among the large rural population living in mountain ecosystems, and discuss how mountain-specific development policies should work in Africa. During the United Nations Conference on Environment and Development (UNCED) in 1992 (Rio Summit),mountain areas received global recognition for the first time as an important, unique and fragile ecosystems that urgently need interventions for sustainable development environment (â€˜chapter 13â€™ of UNCED Agenda 21). Ten years later during the World Summit on Sustainable Development (WSSD) at Johannesburg in 2002, the â€˜Mountain Partnershipâ€™, a voluntary alliance of partners dedicated to improving the lives of mountain people and protecting mountain environments around the world, was launched with the UN General Assemblyâ€™s declaration of 2002 as the â€˜International Year of Mountainsâ€™. Finally, during the UN Conference on Sustainable Development (UNCSD) in June 2012, mountains and their communities received renewed global political attention, with three paragraphs (210, 211,212) of the UNCSDâ€™s Outcome Document entitled the â€œFuture We Wantâ€ entirely dedicated to mountains. 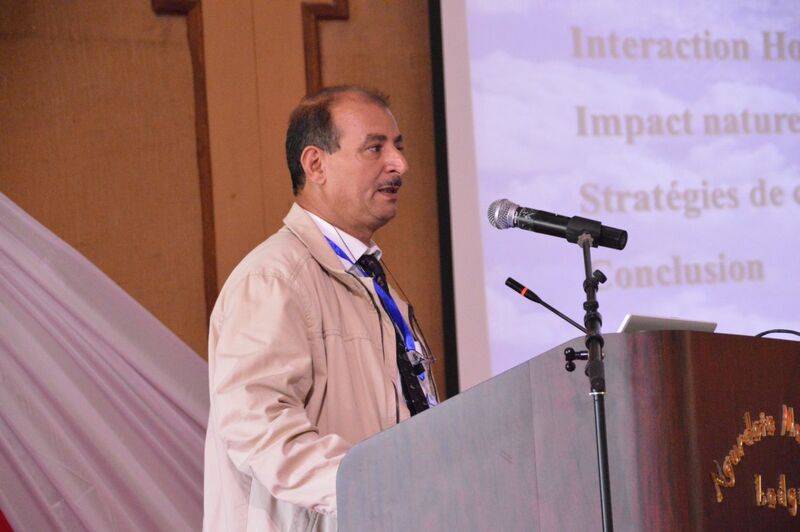 Over the last 30 years, many initiatives have taken place, in areas of research, capacity building and networking to enhance the state of knowledge of mountains and push the mountain agenda in face of global change. However, there is still a lack of awareness of the Mountain Agenda and the need to develop specific policies and activities for mountain areas at national level. Integrating mountain agenda in climate change and new SDGs remain a big ask. The global instruments have not in practice influenced the implementation of national strategies that are mountains-pecific. Mountain regions in many parts of the world still lag behind in the development processes. 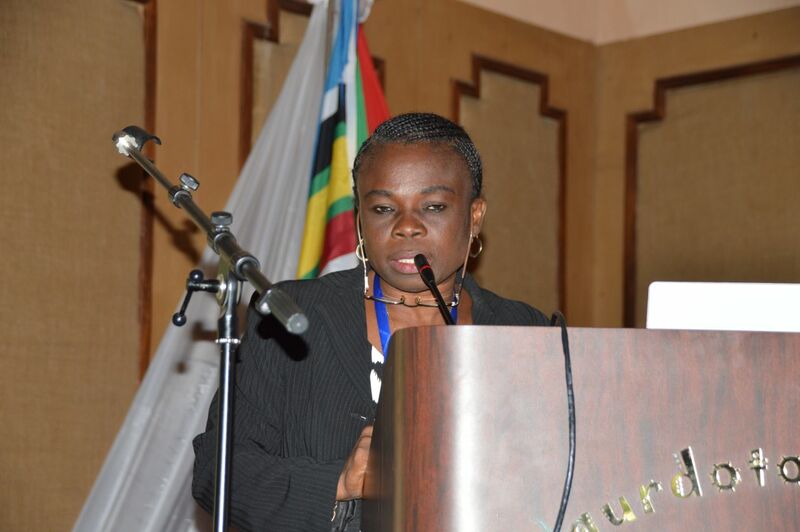 The African Ministerial Conference on the Environment (AMCEN) met in Arusha, Tanzania, in September 2012 at the 14th session in relation to Africaâ€™s post Rio+20 Strategy for Sustainable Development. 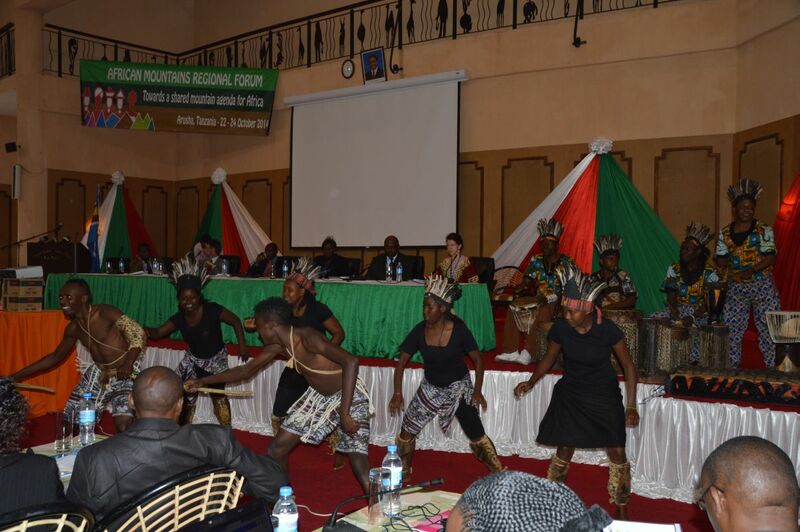 The Arusha Declaration on Africaâ€™s post Rio+20 Strategy for Sustainable Development makes reference to mountains in Africa. This session will exchange experiences in Africa at national level and regional level, particularly in the context AMCENâ€™s agenda to discuss what strategies and policies need to be addressed for sustainable mountain development agenda in Africa, particularly in the context of global climate change regime, with the forthcoming COP20 in Lima, Peru, and post 2015 development agenda. 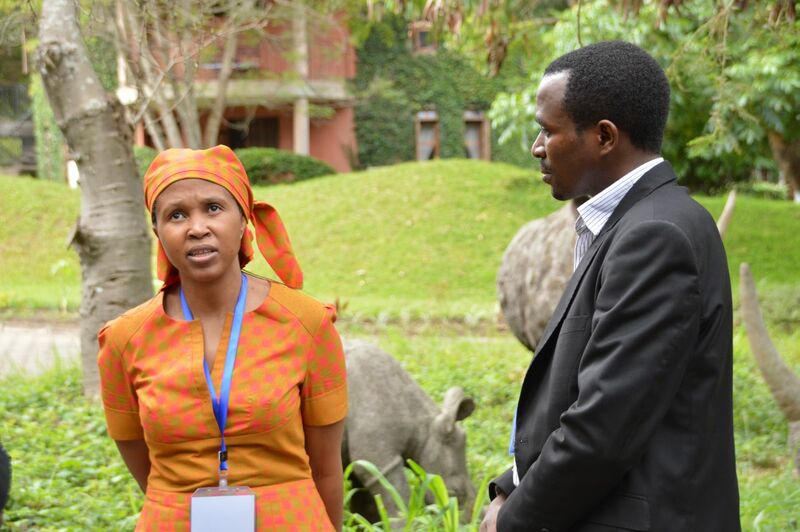 The Africa Regional Mountains Forum was attended by morethan 100 participants coming from 21 countries and working in various fieldsranging from government to civil society, private sector, academia andinternational development agencies. The outcome document of this forum, named â€œArusha Outcomesâ€,highlights the importance of African mountains as pillars of sustainabledevelopment on the continent and proposes the establishment of the AfricaRegional Mountains Forum to provide a platform to promote sustainable mountaindevelopment agenda and strategy in Africa and to provide a forum of knowledge,information exchange and policy dialogue in close cooperation with the MountainPartnership. 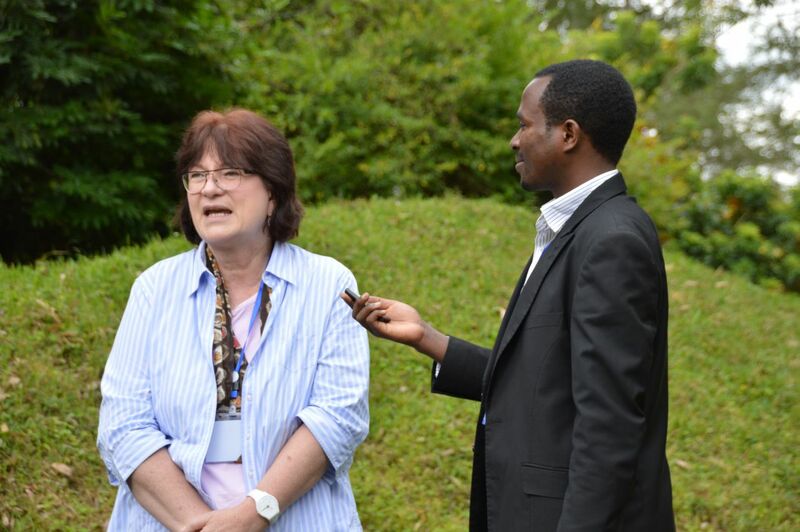 You will find attached here the summary report of the forumby the International Institute for Sustainable Development (IISD) and the finaloutcome document (Arusha Outcomes) can be accessed here. You can also access the presentations given during the forumon the ARBMIS portal launched during the forum (register a new user account orlog in as â€œguest userâ€. You can also follow the coverage of the forum by IISD ontheir website here or access the HTML Forum report here. We have finally created a photo album for the forum in apublic folder on Dropbox which can be accessed here. If you want to keep informed on future activities under thisprogramme, please bookmark this website where more updates will be postedregularly including the videos of presentations, key addresses given during theforum and many more documentaries on African Mountains. We thank you for your interest in SMD and appreciate yourcollaboration in keeping the African mountains on the general sustainabledevelopment agenda. 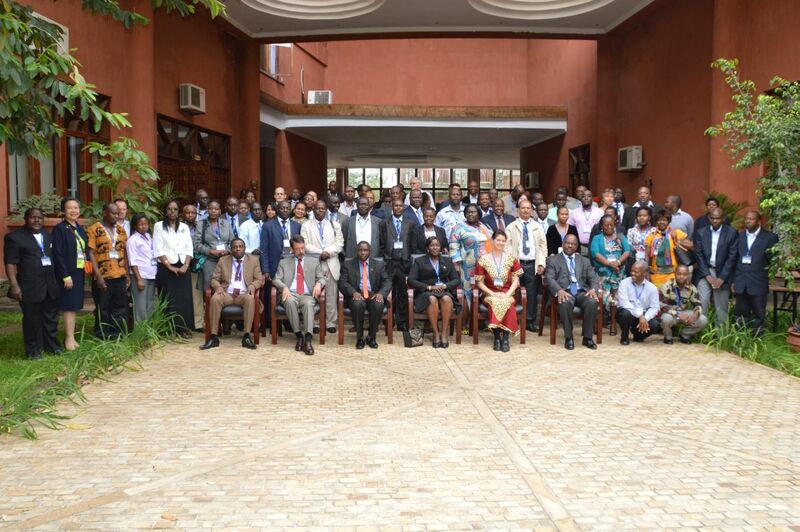 On 24th October 2014, the ARCOS Biodiversity InformationSystem Management, a portal that was developed to facilitate biodiversityinformation and data in the Albertine Rift region, the African great lakesregion, as well as the African mountains was launched. 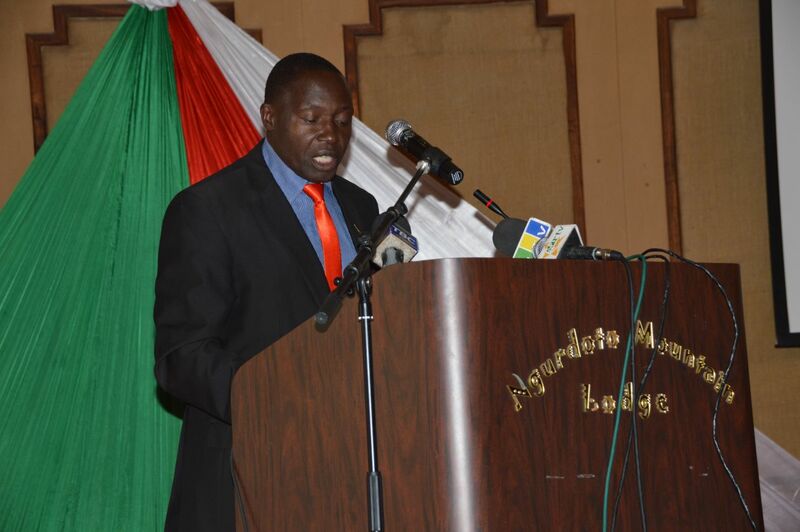 The launching ceremony was presided by Hon. Lazaro Nyalandu,the Tanzanian Minister of Natural Resources and Tourism as he closed the AfricaRegional Mountains Forum. 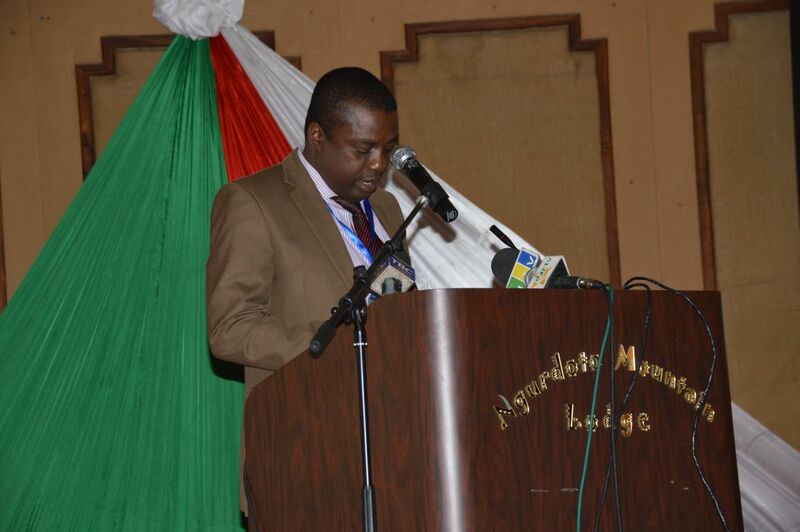 In his statement during the opening of the Africa Regional Mountains Forum in Arusha on 22nd October 2014, Hon. 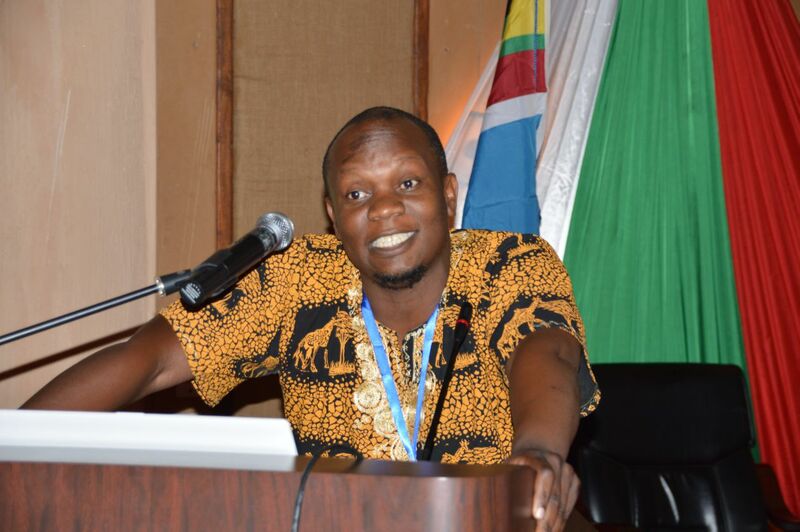 Nyelembe Deus Munasa; the Arumeru District Commissioner - speaking on behalf of the Arusha Regional Commissioner expressed the interest of Tanzania to take its efforts one step further in promoting sustainable mountain development by joining the Mountain Partnership network. The country is also set to develop mountain-specific policies to ensure SMD principles are well integrated into the broader national development agenda. You can read more in the press release for the opening ceremony of the AMRF below. 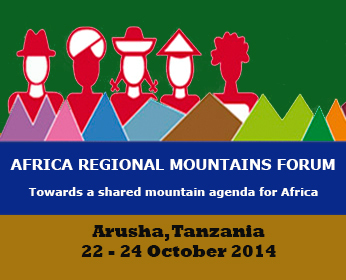 The African Mountains Regional Forum Kicks off on this 22ndOctober 2014. The opening of the event was officiated by Meru DistrictCommissioner, Mr Nyerembe Deus Munasa, who spoke on the behalf of ArushaRegional commission. 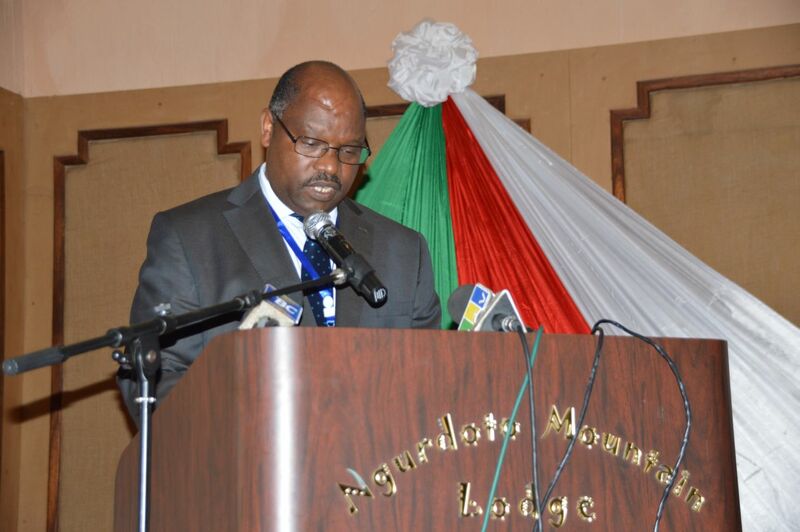 Mr Nyerembe expressed the enthusiasm with which Arushawelcomes an event like this given the reputation of this region which hostssome of the highest picks on the African continent such as Mount Kilimanjaroand Mount Meru. 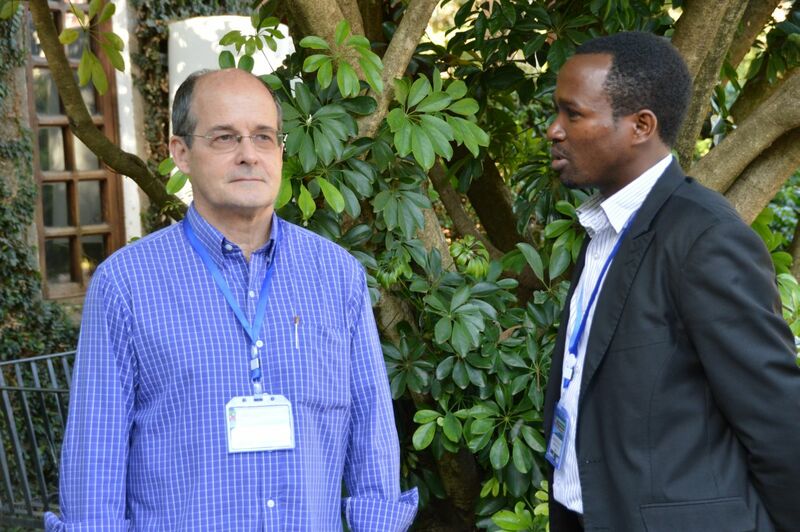 Please stay tuned for the updates on the highlights of the1st day which will be circulated and in case you are not on the ARCOS mailinglist, please do get in contact with ARCOS Information Manager atfgashakamba@arcosnetwork.org. 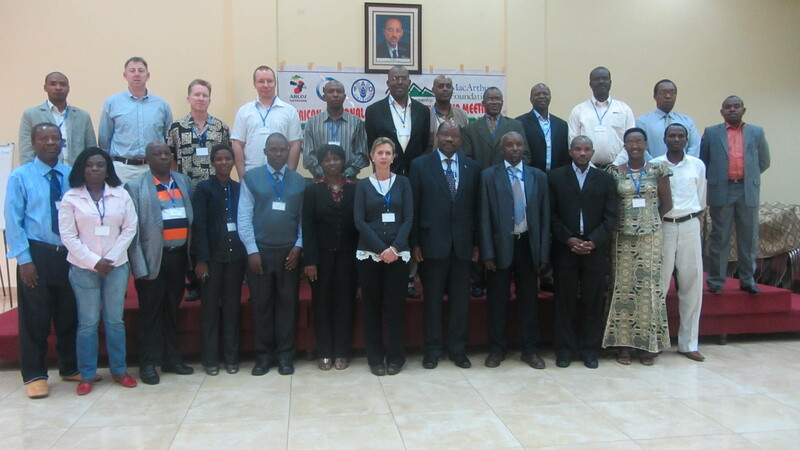 The organizers of the African Mountains Regional Forum -AMRF2014 - would like to encourage all interested individuals and organizations to use the events' Twitter hashtag to help spread the word about this important upcoming event. To contribute in this noble campaign, simply include the event's hashtag - #AMRF14 - in your tweets. 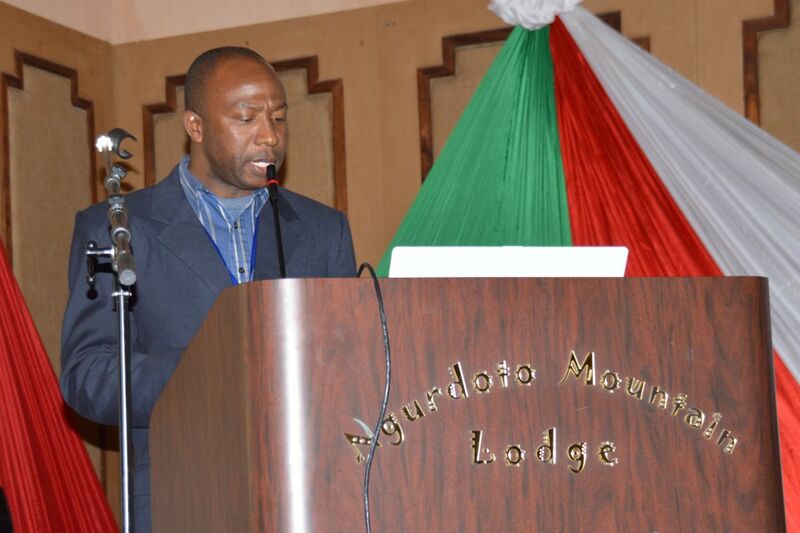 Inspiring Sustainable Mountain Development in Africa; the 2nd Edition of the African Mountains' Echo newsletter is now out! 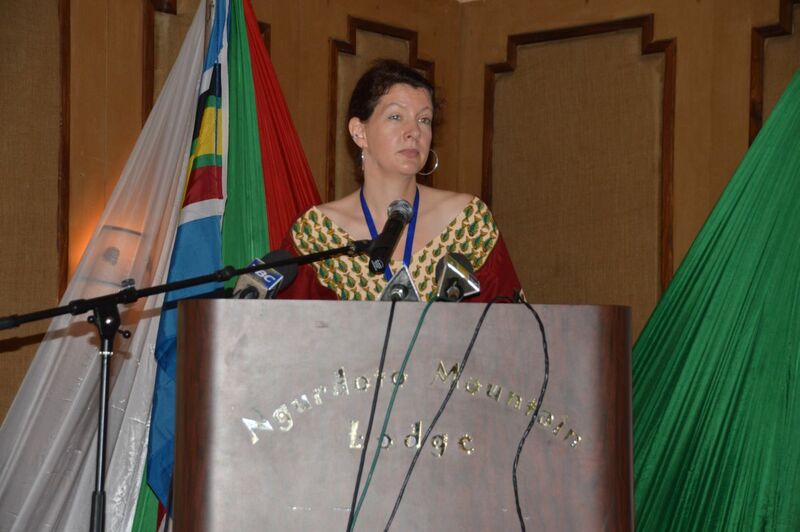 ARCOS is pleased to present the 2nd Edition of the African Mountains' Echo newsletter. This newsletter is produced with financial supportfrom the Swiss Agency for Development and Cooperation (SDC). This issue focusesmainly on water, food security and climate change under broad topics: AfricanMountains: Their Services and Contribution to People's Livelihoods; African Mountains and Water Towers: Our Heritage; African Mountains and Drivers of Change; Policy Action sand Sustainable Mountain Development; and the portrait of the Mountain Research Centre at Makerere University.